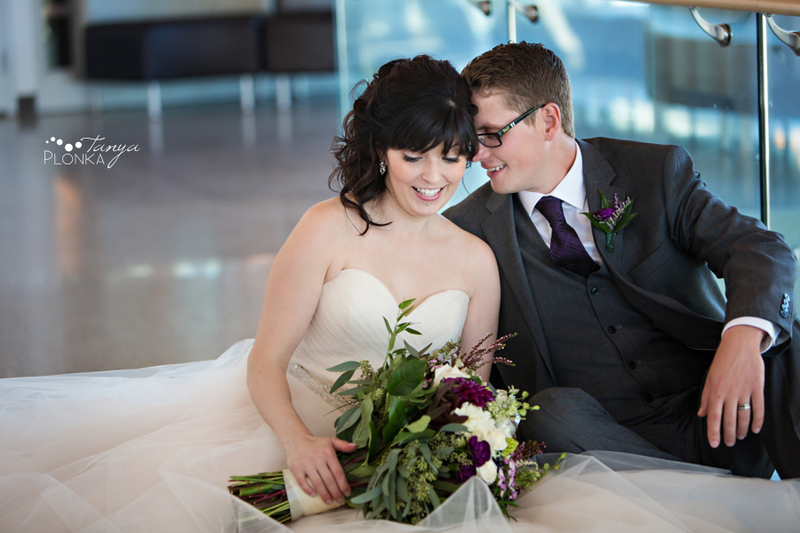 Cale and Kirsten held their intimate wedding with their immediate families and closest friends on the balcony at the Lethbridge Lodge, which provided a beautiful start to the day! Instead of letting the rainy day get them down, Cale and Kirsten were great sports and super easy going, not minding going out in the rain one bit! 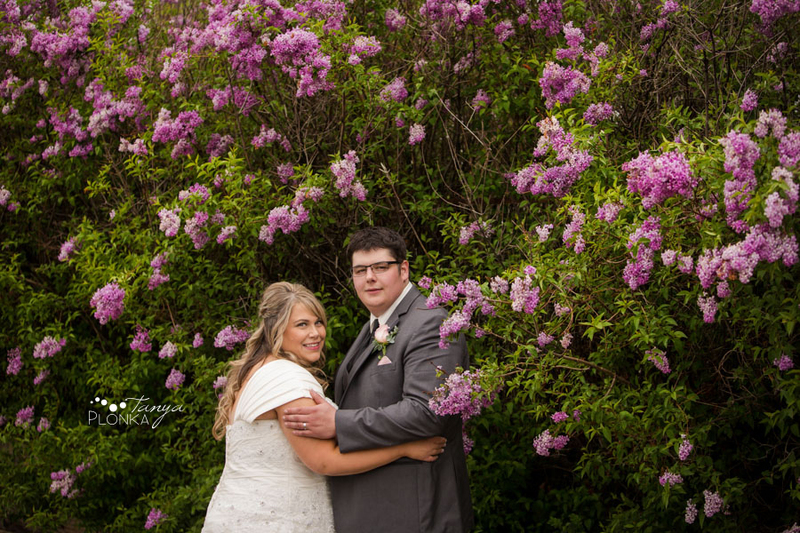 We equipped them with umbrellas after our indoor photos at the Lodge and Casa and made use of the lush green colors the weather gave us for their spring wedding photos. 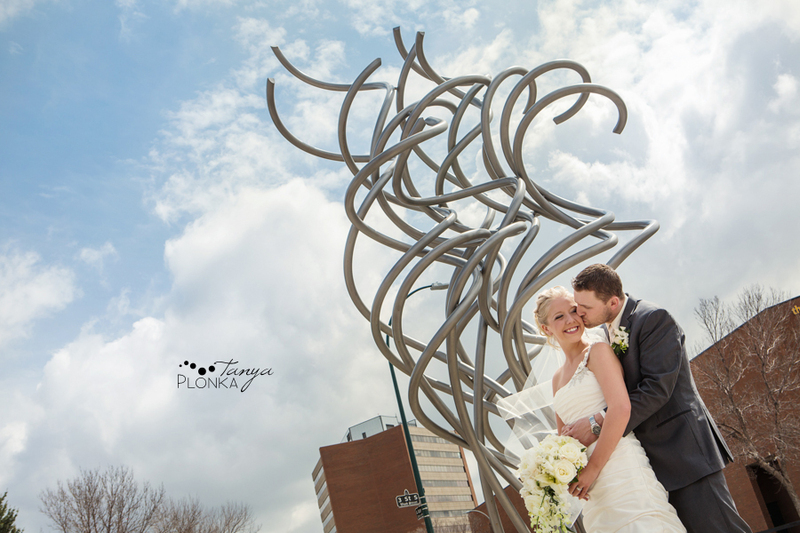 Amelia and Abram chose early May for their Lethbridge spring wedding and we had a beautiful day with sunshine and all of the new leaves starting to peak out. I mentioned before how Abram hates having his photo taken, but you could tell he was so smitten by Amelia because he was grinning all day… he probably forget we were taking his photo ;) Amelia was full of huge laughter around him and their families, and she looked so stunning. They chose the Lethbridge Lodge as their main location both for getting ready and their reception, so it was a natural fit to do many of the portraits there as well. After photos were finished, we headed over to the beautiful Nobleford Christian Reformed Church for their sweet and thoughtful ceremony. What happens when you combine kilts, light sabers, and a Buddhist temple? Trent and Veronica’s wedding! The two of them planned such a fun little wedding that perfectly showed off their unique personalities (including many references to Trent’s geeky interests – that’s why I’m friends with him, after all!). They are so adorable, and the love between them so obvious (especially in Veronica’s beaming smile all day). 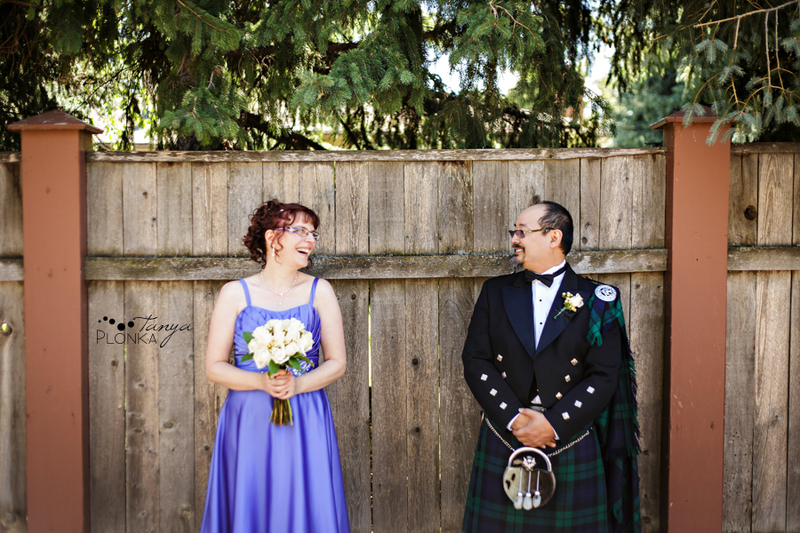 After their ceremony at the Lethbridge Buddhist Temple (where they exited under light sabers, of course! ), they danced all night with their family at the Lethbridge Lodge – first with their choreographed dance they took lessons for, and then to the live music of Bandemonium.